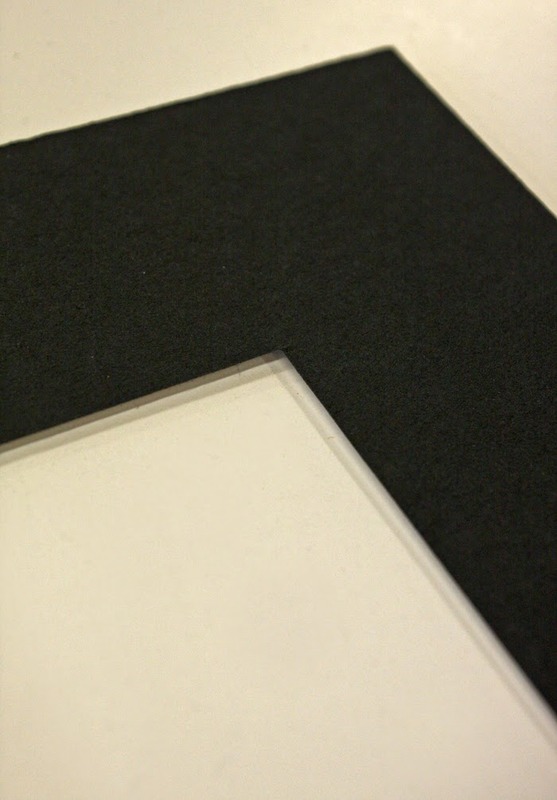 Mat board windows are usually cut with beveled edges in order to make the core visible. However, if you don’t want the core color (usually white, cream or continuous) to be visible, a reverse bevel cut mat board can be done. This will allow the bevel to be cut in the opposite direction. Read more.